Two small dogs with a toy heart isolated on a white background. For a donation of $150, KHS will bring a puppy to delight your loved one at home or at the office. LOUISVILLE, Ky. — If you're still looking for the perfect gift for a loved one, skip the flowers and chocolate! 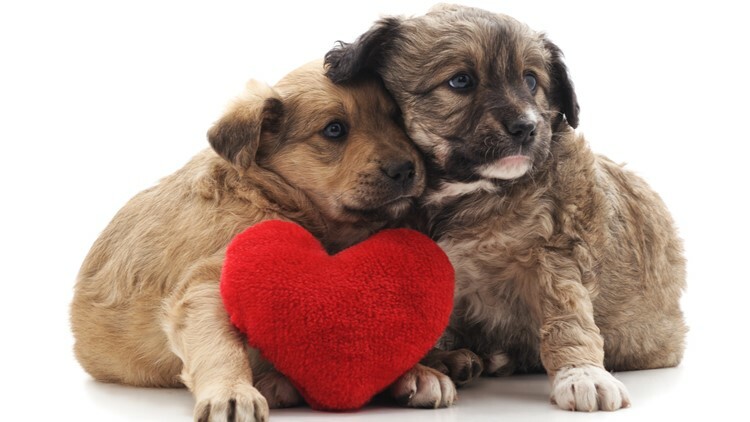 The Kentucky Humane Society is making every dog-lover's dreams come true this Valentine's Day with puppy grams. KHS will bring a puppy, flowers from Oberer's Florist and chocolate from Cellar Door to a loved one on February 14 for $150. They can also bring puppies to make entire offices happy. For more information, contact Frank Hanlon at fhanlon@kyhumane.org or call 502-366-3355.